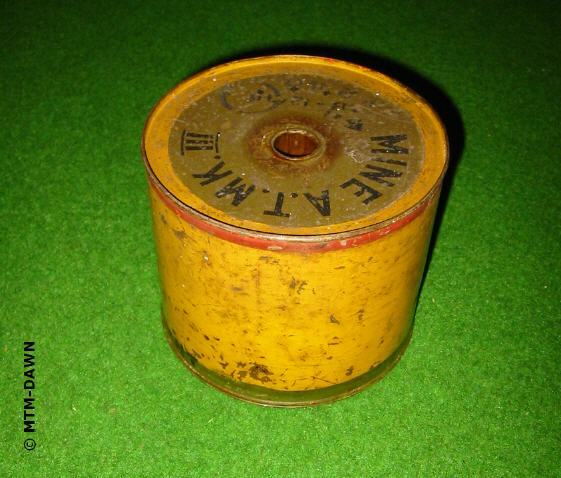 This A/T Mine consists of a thin metal container with a fuze well on top. 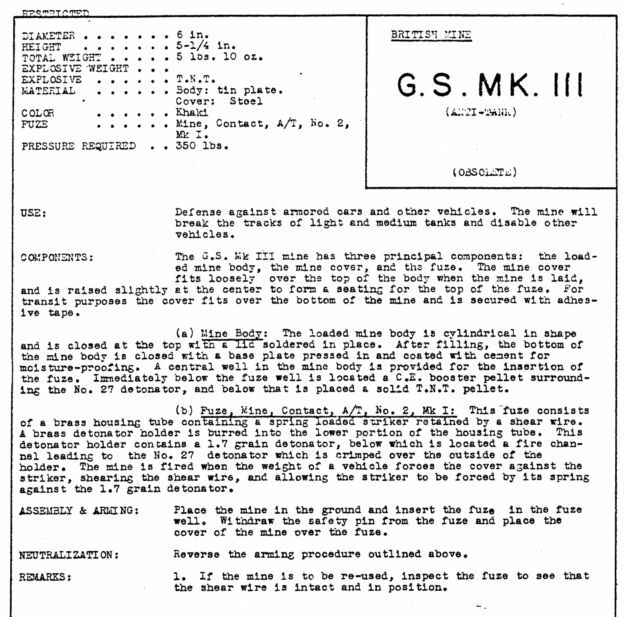 The mine was painted olive drab or desert and it had it's designation on top in black paint. 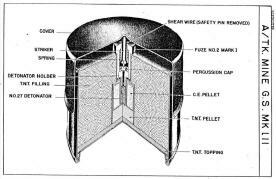 The detonator was crimped to the brass No2 fuze and was waterproofed with a sealing compound. 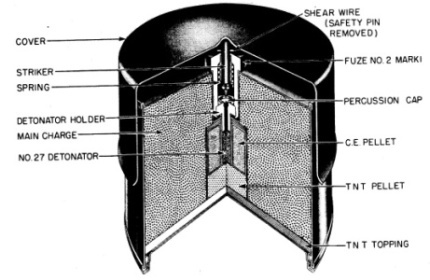 The fuze was inserted in the fuze well and the safetypin was removed. After this the pressure cover was placed and the mine was ready for use. Height (incl. 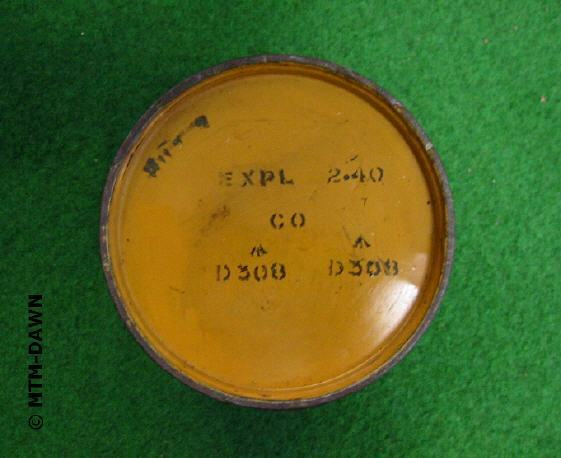 cover): 130mm, Diameter (cover): 160mm. 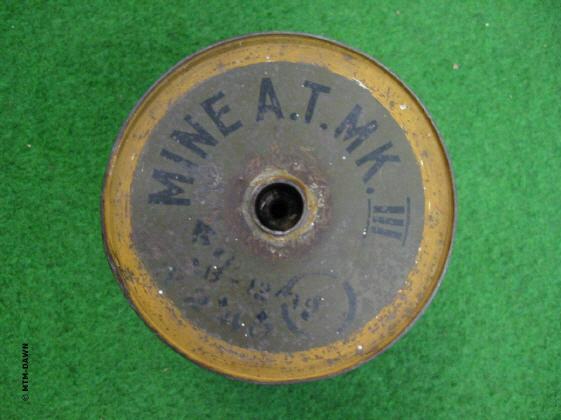 Large quantities of these mines were used by the Germans during ww2 on the Atlantik wall defences. These were the remaining stocks of the British army on retreat to England in 1940. 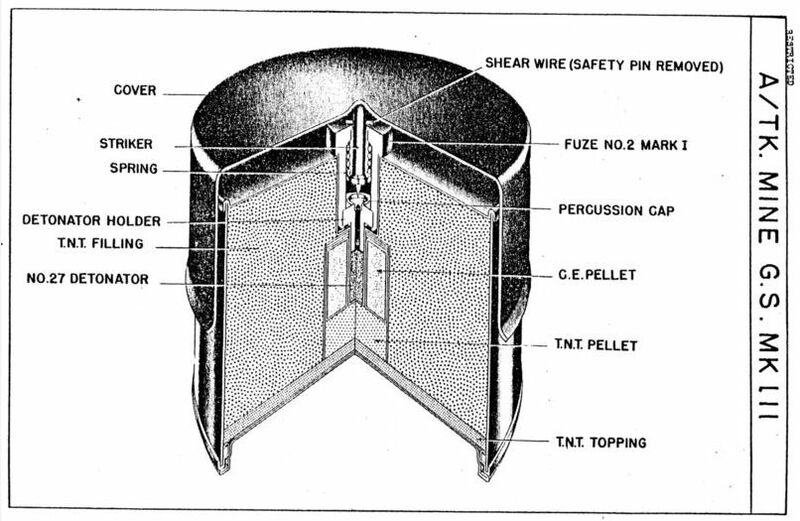 The fuzes were renamed "Mi.Z.530 (e)". I don't know the German name for the mine. 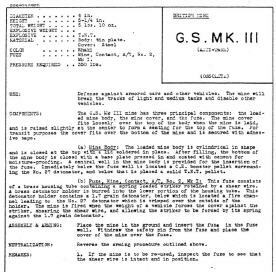 Photos below thanks to J.P Dijkman.